Space Hulk: Tactics is a faithful adaptation of the board game Space Hulk, set in the Warhammer 40,000 universe, bringing unique twists to the cult classic formula. Discover the new Overview Trailer showcasing the game’s battle system, team management, customisation and unique card system, so you’re ready for glorious combat when Space Hulk: Tactics releases for PlayStation 4, Xbox One and PC in 2018. First twist is the innovative new card system, giving players greater control and more options than ever before. Grizzled veterans and Space Hulk newcomers alike will find the cards add a new layer of depth, replayability and customization, as explained in the trailer. Also showcased are the two non-linear, narrative-driven campaigns, offering hours of epic single-player entertainment. One campaign sees you commanding the stalwart Blood Angels Space Marine Terminators, while the other puts you in control of the alien Genestealer forces for the first time in a Space Hulk game. The game also provides an intuitive but powerful community tool in the form of the map maker, with dozens of varied objectives and endless possible combinations of layouts, objects and tilesets. Once completed, share your maps with others for the community to play and rate. Finally, Space Hulk: Tactics offers a deep customisation system affecting both gameplay and the appearance of your squad. Hand-craft your forces from one of four Space Marine Chapters or four Genestealer Hive Fleets. A host of cosmetic customization options for every limb, joint, and weapon allow you to choose the exact look of the units in your roster. All multiplayer cosmetics are unlocked from the very start, along with all multiplayer cards. Space Hulk: Tactics comes to PlayStation 4, Xbox One, and PC in 2018. 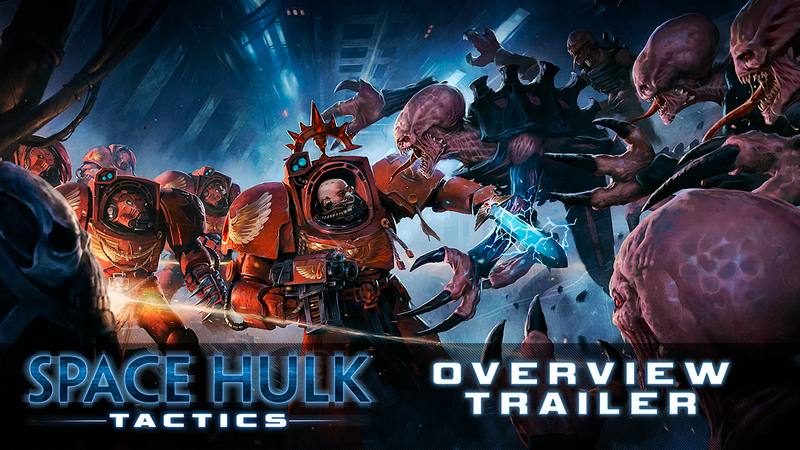 Pre-order Space Hulk: Tactics tomorrow on Steam and get special bonuses.